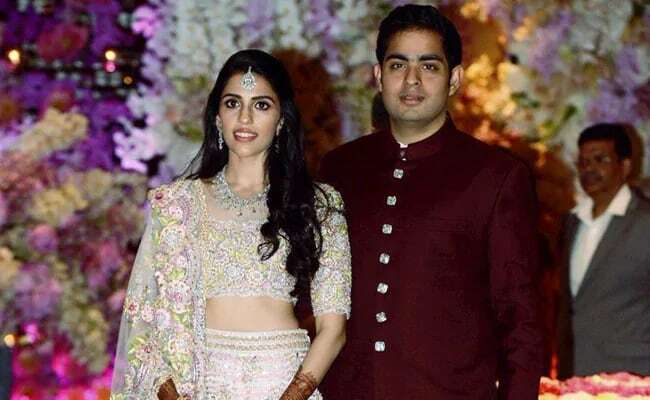 Akash Ambani, the older son of Nita and Mukesh Ambani, got engaged to childhood friend Shloka Mehta in March last year. 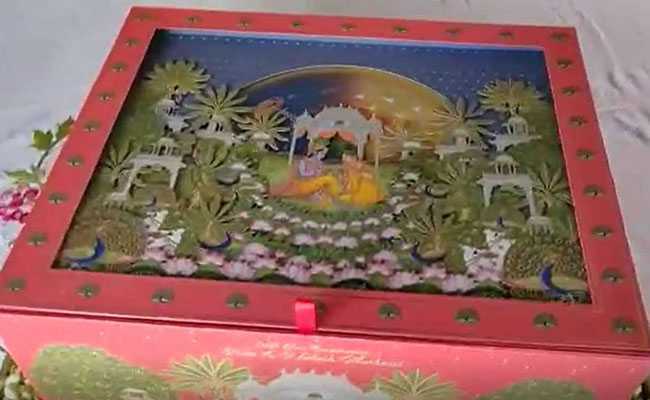 Packaged beautifully within a box the size of a board game with an animated rotating disc that lights up and a picture of Lord Krishna and Radha is the invite to the much awaited wedding of Akash Ambani and Shloka Mehta. A video gave a first peek at the wedding invite, the first of which was offered at Mumbai's Siddhivinayak temple. Akash Ambani, the older son of Nita and Mukesh Ambani, got engaged to childhood friend Shloka Mehta in March last year. Shloka Mehta is the youngest daughter of diamantaire Russell Mehta and his wife Mona. They are to get married on March 9, according to the wedding invite seen in the video. The pink box has a photo of Lord Krishna and Radha standing in a field with flowers and peacocks. The box opens up to a compartment with another photo of Lord Krishna and Radha in a silver photo frame. Opening the inner compartment leads to the pop-up wedding card. The card, orange in colour, opens up to a note, which seeks blessings for the bride and groom to-be on one side. "O Suryadeva (Sun God). You are the light in our Akash. You illuminate our every Shloka," it reads. The card then opens up to a note from Mukesh Ambani and his wife Nita. The next pages hold little cards with details about the different events planned for the wedding. The note for each event is accompanied by a pop-up card on the other side of the page, which opens up to either Lord Krishna or Lord Ganesh. The wedding will happen at the Jio World Centre at Mumbai's Bandra Kurla Complex. It will be followed by "Mangal Parv" celebrations on March 10. The wedding reception, which will wrap up the entire ceremony, will take place on March 11. Reliance chairman Mukesh Ambani went to the Siddhivinayak temple in Mumbai along with his wife Nita and younger son Anant on Monday to offer the first invite for Akash and Shloka's wedding. Mukesh Ambani and Nita Ambani also flew to Chennai to invite DMK chief MK Stalin for the wedding.